Time for the second Ship Of Fools discussion! 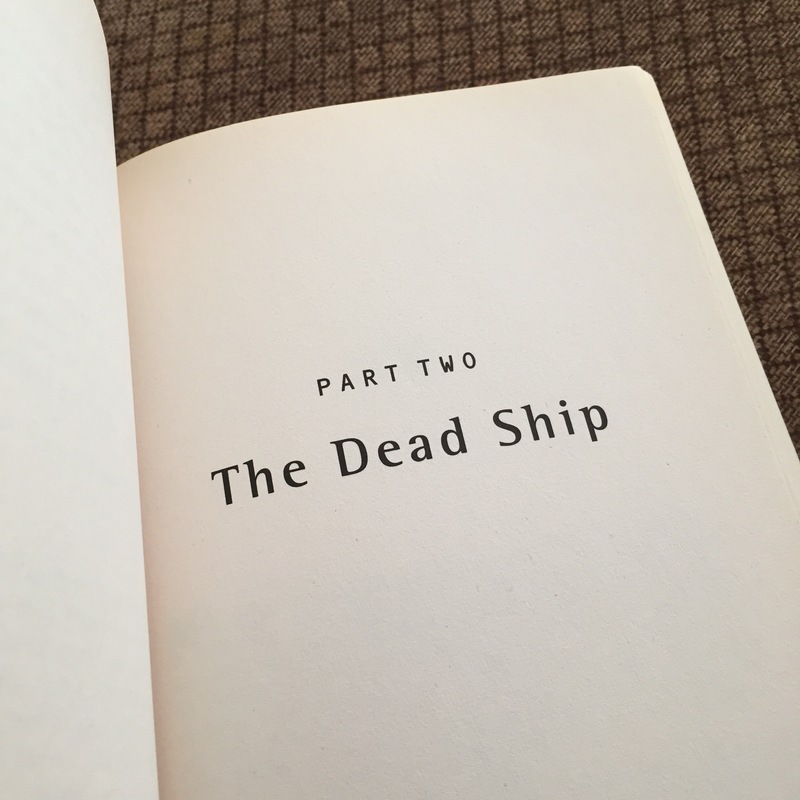 This time we tackle Part Two: The Dead Ship. This will cover pages 97-209 so please don’t spoil anything by reading this post until you’ve read this part of Richard Paul Russo’s masterpiece of Horror SciFi. An eerie section of the story! Bartolomeo is set free from his jail cell only to be used as a political pawn by both the Captain and the Bishop. He’s sent as a sacrificial lamb to the alien ship, and yes the ship seems dead! But even in death you have to ask yourself is the ship evil? Or just hostile to alien life? The ship is the central character to this part of the story. As we explore it and get to know it we are left with more questions than answers. Gravity that shifts? A room full of razor wire? A room that reminds our explorers of the horrors they found at the abandoned colony? What is the terror that lurks behind the closed doors? And finally the surprise of all surprises: a human! What is she doing on the ship? What is her story? And yet in the midst of all of this you’re left wondering about the quiet war between the Captain and the Bishop. At first the Captain seemed noble but now you know the level of betrayal he’ll stoop to in self preservation. The Bishop has always seemed self advancing but now with the mystery of his secret visits to the ship he starts to take on a sinister characteristic…. We are approaching the resolution of it all! Finishing up the book and part three this week! 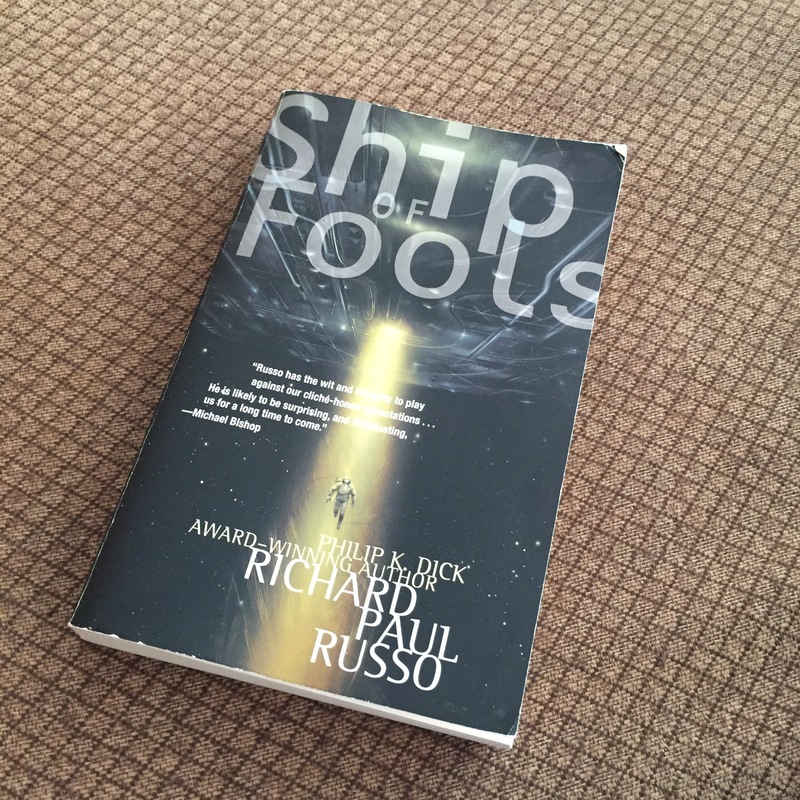 Hope you’re enjoying this read of Ship Of Fools. This entry was posted in Book Reviews and tagged Horror, RichardPaulRusso, scifi, ShipOfFools, ShipThemFools on November 14, 2016 by redstarreviews. I am still baffled and rudderless at my feeling of not really knowing these characters. I’ve come to grips with the fact that I guess I am meant to just see what these people do not know their true “predicament” – how did they arrive at their motivations? I guess we know Bartolomeo the best but he only just states how things were/are, maybe a sentiment about his difficulties in life. Is there no anguish there??? I think there should be but there’s only a hint. And I feel like I am saddled to assume a few cliche things about power regarding both the captain and the bishop without any background. One thing this creates is a bigger mystery which I actually do like. Because I’m reading and I think, “huh, he/she did that” and I am a witness to it without understanding it the way that we are a witness to this alien ship which is so confusing and such a mystery. Pairing these mysteries makes me feel a little like a character in the story – who also might not have a clue why things are happening around them the way they are but are forced to forge on. I am already done with the book and it was super fast paced which I quite enjoyed. I understand the frustration of the lack of character development and the missing frustration in the characters. I wonder if the author kept it the development brief and off camera due to it being both first person and fast paced? Very streamlined in that approach. It’s interesting to see what other people pick up on when they read, versus what I find myself thinking about. I’ve finished the book but never once thought about a lack of character development. I was too focused on the story and wondering what the hell was going on with that ship! However after reading your comment and looking back, I can see that Bart wasn’t extremely fleshed out – however, I do feel I have some sense of who he is, enough to be satisfied anyway. But the sparse character development really didn’t bother me. Sometimes it’s what I crave, but in this story the plot and the mystery and the spooky ship were enough to keep me happy. The whole book swept me up the first time I read it with its atmosphere and tension. Now I’m still finding myself anticipating what comes next in it even though ultimately I know what comes next. I think we see Bartolomeo develop a little as the book goes along but now I’m wondering: because of his childhood isolation how much of an outsider is he? 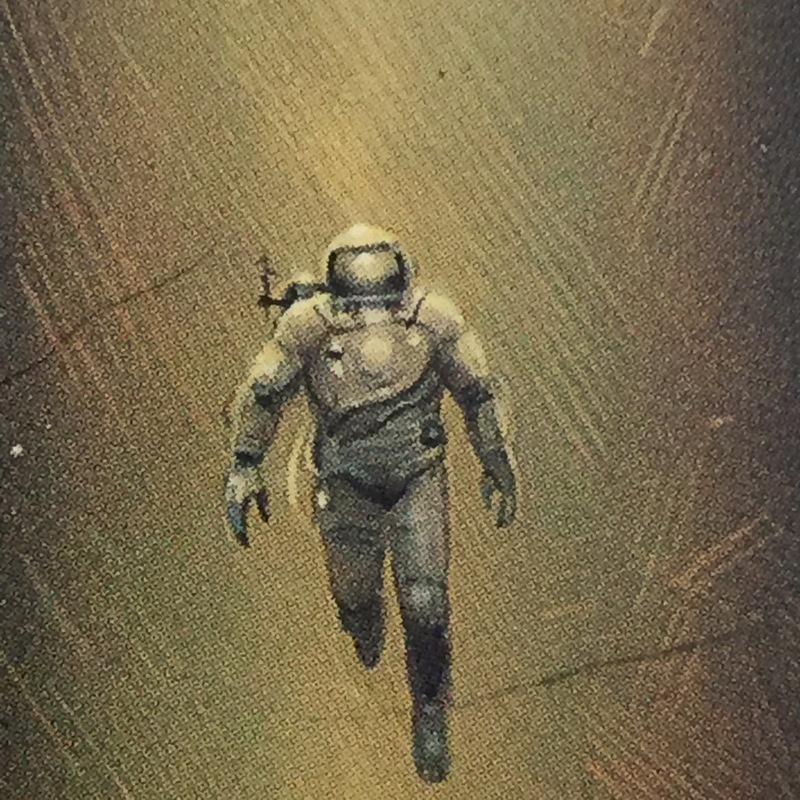 How potentially Alien himself? Also I wonder if part of it could be life for generations in the close quarters of a ship. Great things to consider! Yeah he definitely develops some and after everything involving the ship, how could his character not change at least a little? I definitely think his childhood has something to do with his personality and perhaps where some people feel they’re not getting to know him, it’s intentional on Russo’s part because of the way Bart grew up and lived his life on the ship. It makes sense. You see the change in his perspective towards the lower level people, the change in his friendship with the Captain, his opening up to Father Veronica. I love getting these different perspectives!